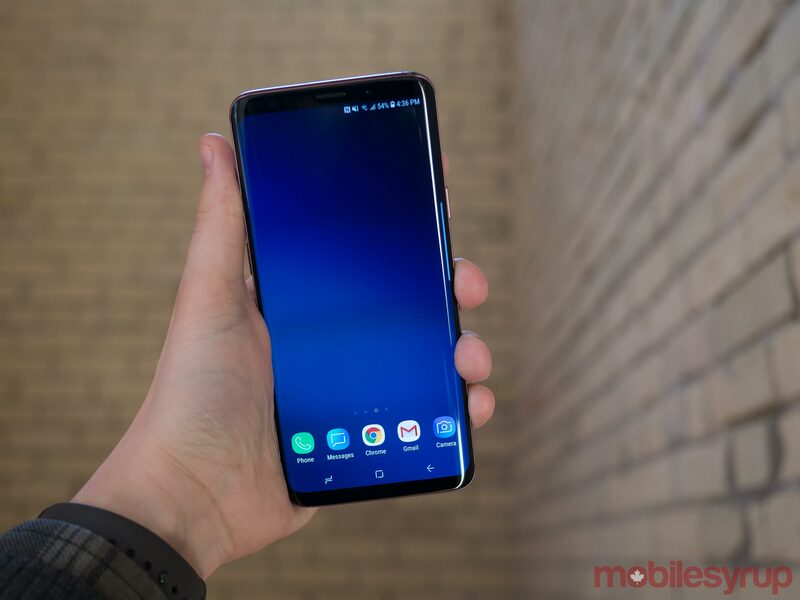 Just minutes after getting my hands on Samsung’s latest flagship S Series smartphone, one fact was abundantly clear — if you weren’t fond of the Galaxy S8 and S8+, then you’re going to have similar feelings about the S9 and S9+. Over the last few days, I’ve described the South Korean manufacturer’s latest flagship as its iPhone 8. S8+ on the left and the S9+ on the right. Here’s why: there’s nothing really wrong with the S9 or S9+. In fact, I’d go so far as to say that Samsung’s latest S series smartphones are the pinnacle of the Android ecosystem, surpassing even the beleaguered Pixel 2 XL in some respects. It’s just that the S9 isn’t a significant improvement over the S8. 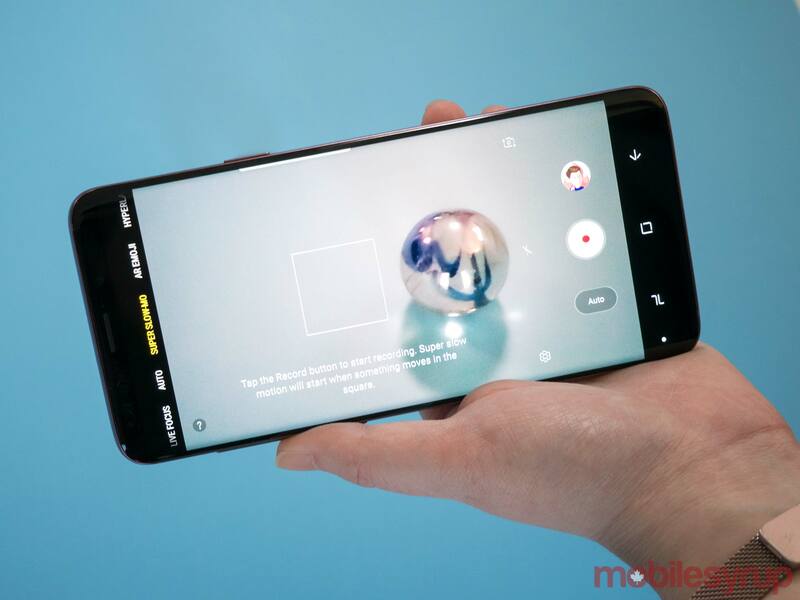 The smartphone features an impressive, versatile camera — complete with a variable aperture — that still shoots slightly over-processed photos, a design that’s a cut above competitors and, as expected, unrivalled build-quality in the Android space. 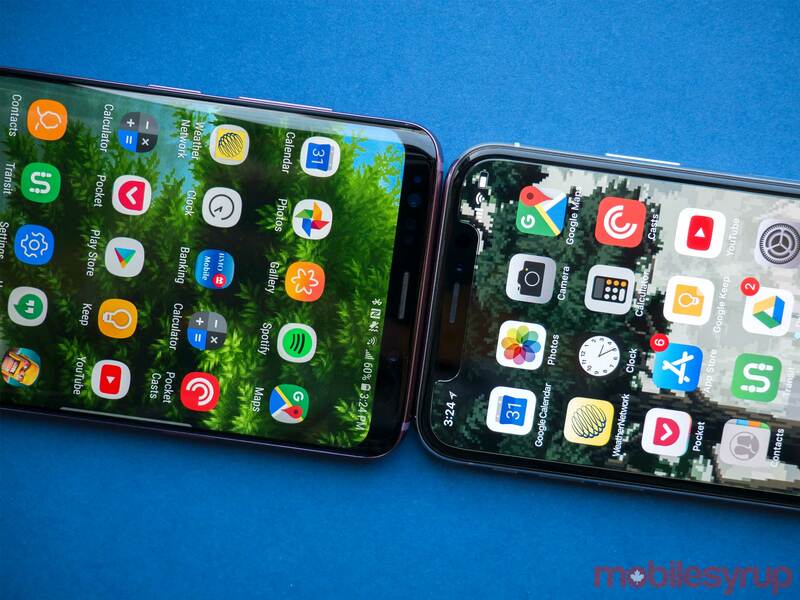 That’s not to say that there aren’t improvements in Samsung’s latest flagship. 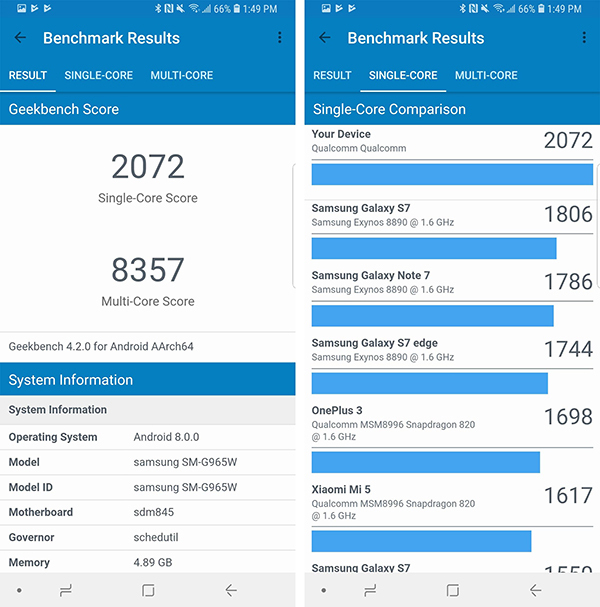 Qualcomm’s new Snapdragon 845 (the phone features Samsung’s own Exynos 9810 processor in Europe and other regions) provides an impressive 35 percent improvement in speed. The S9+ also now features 6GB of RAM, an update I found helped the phone run smoother when the device was under heavy load. 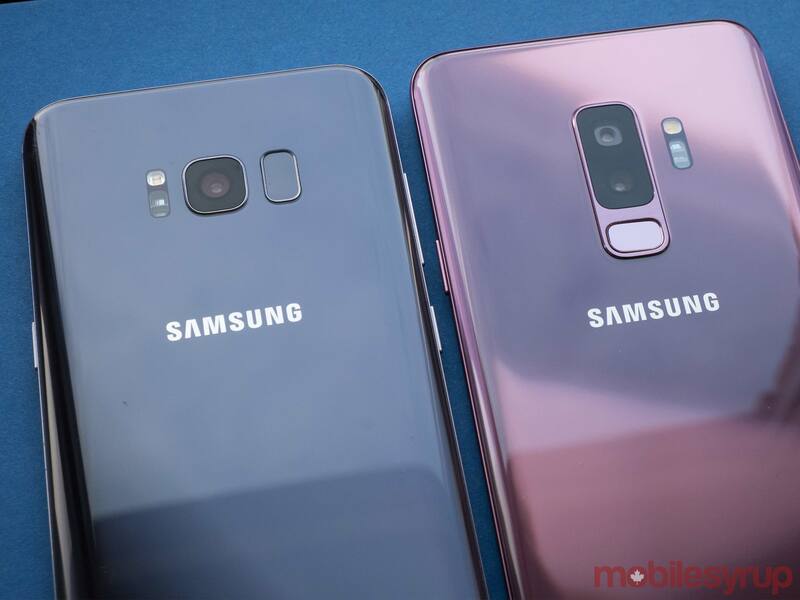 The problem is that, from an aesthetic perspective, the S9 looks identical to the S8. 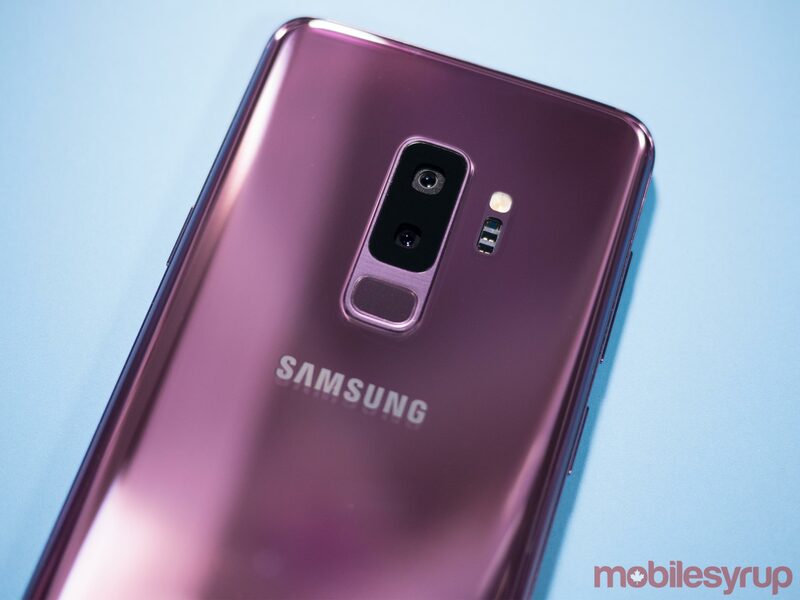 Given that Samsung is synonymous with Android in North America, the average consumer often purchases a new device based solely on how it looks. If the S8 is just as flashy as the S9 at first glance, why would someone opt to purchase the newer, more expensive device, when the S8 is sure to be sold at a significant discount? Though most of the S9’s new features are software-related, the smartphone includes a couple of hardware improvements as well. The most significant change to the S9’s exterior is the new location of the fingerprint sensor. It’s now located below the camera, instead of to the right of the lens like with the S8/S8+ and Note 8. This means it’s no longer necessary to awkwardly claw your hand around the device in order to reach the fingerprint scanner. That said, the S9’s fingerprint scanner is still tiny and I did encounter instances where I found it difficult to locate. I’m also not completely satisfied with the location of the S9’s fingerprint sensor. While I’m pleased Samsung moved it to a more sensible location, I’d prefer if it were located still farther down the phone, similar to the Pixel 2’s scanner. Beyond the fingerprint scanner shuffle, there are other improvements, too. 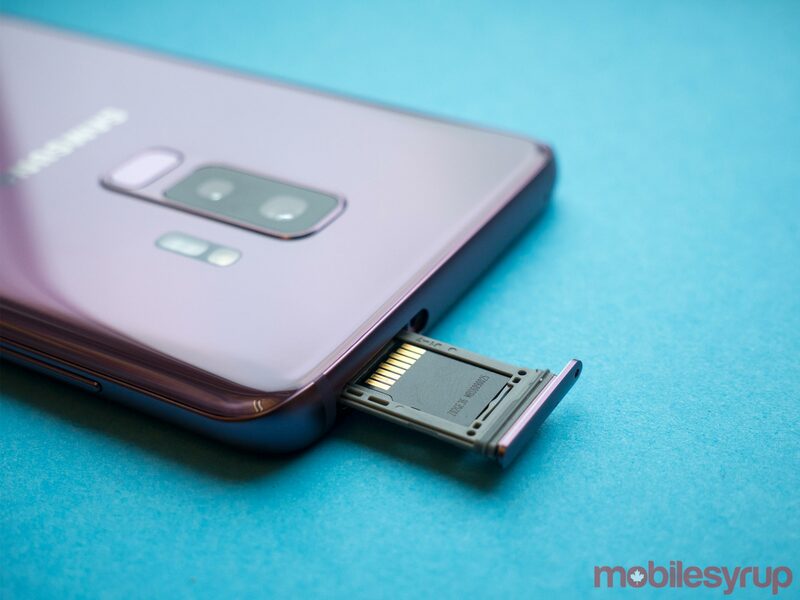 The S9 includes 4GB of RAM, while the S9+ has an even more sizeable 6GB of RAM. S9+ on the left and an iPhone X on the right. 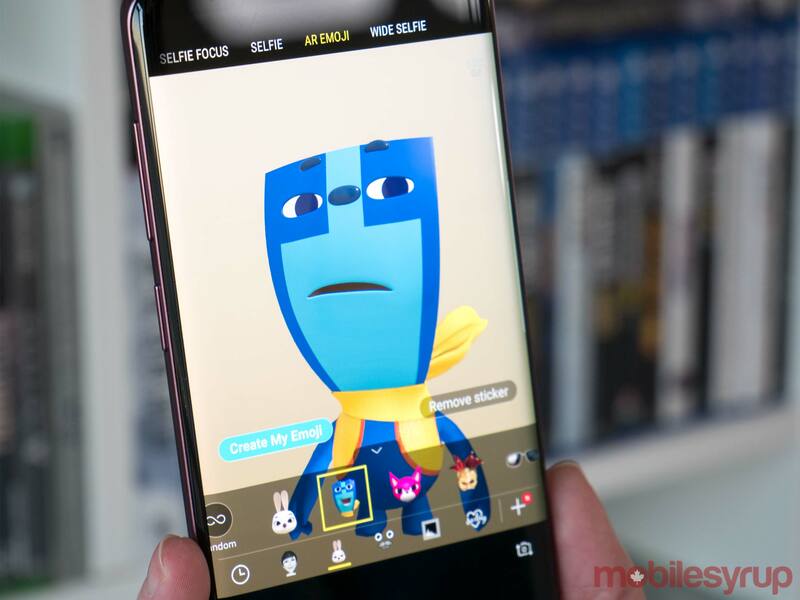 Other new features include improved camera functionality, a revamped camera app and AR Emoji — Samsung’s interesting, but ultimately lacklustre take on Animoji (more on this later). The firm also claims the S9’s speakers are 40 percent louder than the S8’s. While the S9’s stereo audio quality is an improvement over the S8 in fidelity, I found the phone only slightly louder. The phone also now supports Dolby Atmos virtual surround sound with headphones. Dolby Atmos is above standard stereo sound, but the jump in quality isn’t as significant as some might expect. Those who watch a lot of video content on their phones — through streaming services like Netflix, for example — will definitely be pleased with this addition though. S9 on the left and the S9+ on the right. The S9 features the same 18.5:9 aspect ratio, curved sides and glass front and back as its predecessor. The 5.8-inch S9 and 6.2-inch S9+ also include 2960 x 1440 pixel Super AMOLED displays that are identical to the S8’s. While Samsung says the S9’s panel is brighter, I didn’t notice much of a difference when comparing both displays head-to-head. HDR10 compatibility is back, too. 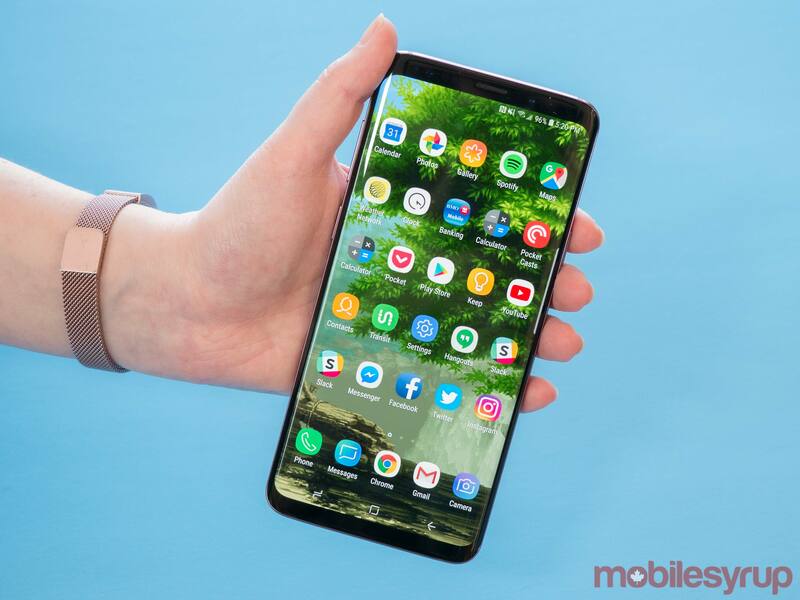 The S9’s screen is just as stellar as the S8’s and this makes sense given the reputation Samsung has built in the display industry over the last few years. The phone also looks and feels the same as last year’s S Series devices, which is its most significant obstacle. 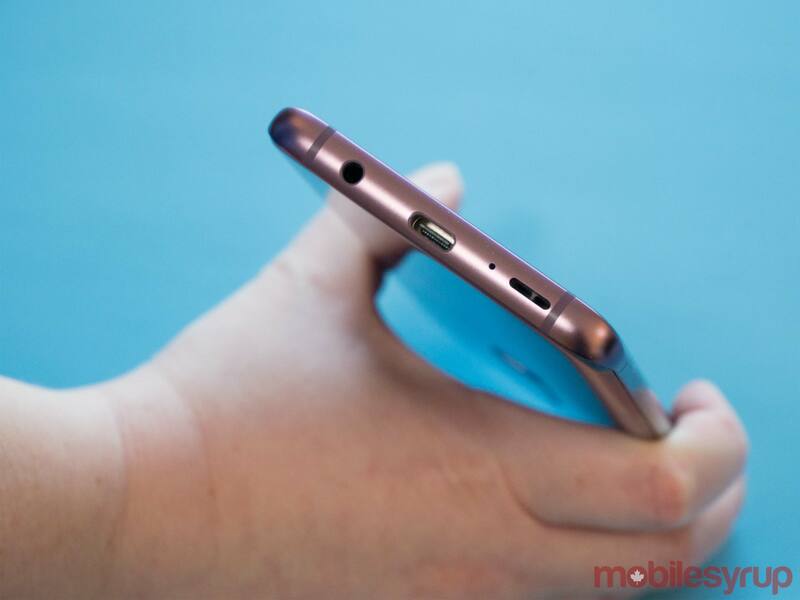 This means that if you liked the S8’s glossy, fingerprint prone design, then you’ll love the Galaxy S9. 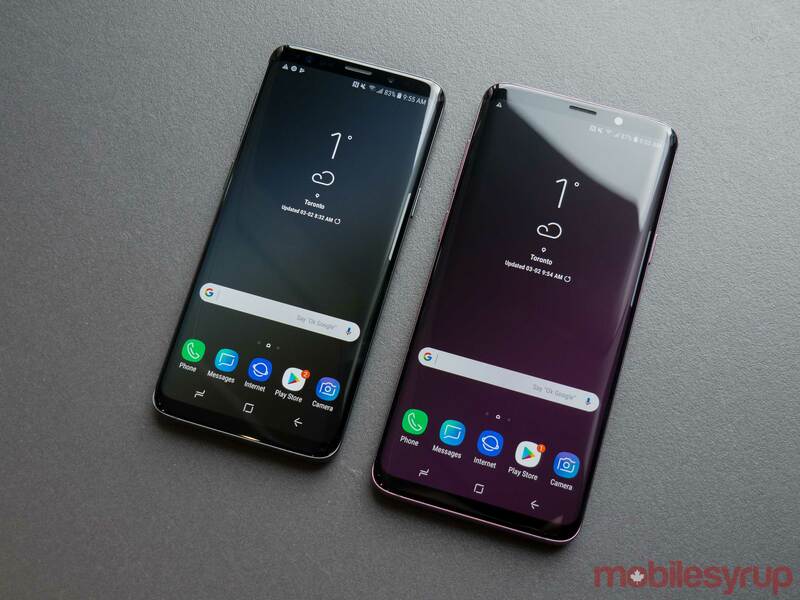 Delving into the details, the S9 and S9+ are millimetres taller than their predecessors, and also weigh slightly more. Both of these changes likely won’t be noticed by the average user. Just like last year, the phone includes 64GB of storage, which is expandable up to 400GB via a microSD slot. The S9 also supports 1.2Gbps data transfer speeds, though this is just future-proofing, given that a real network hitting this speed right now is purely theoretical. Finally, the S9 is IP68 dust- and water-resistant and supports both wired and wireless fast charging, just like the S8. The camera is the S9 and S9+’s most impressive feature and most significant upgrade. 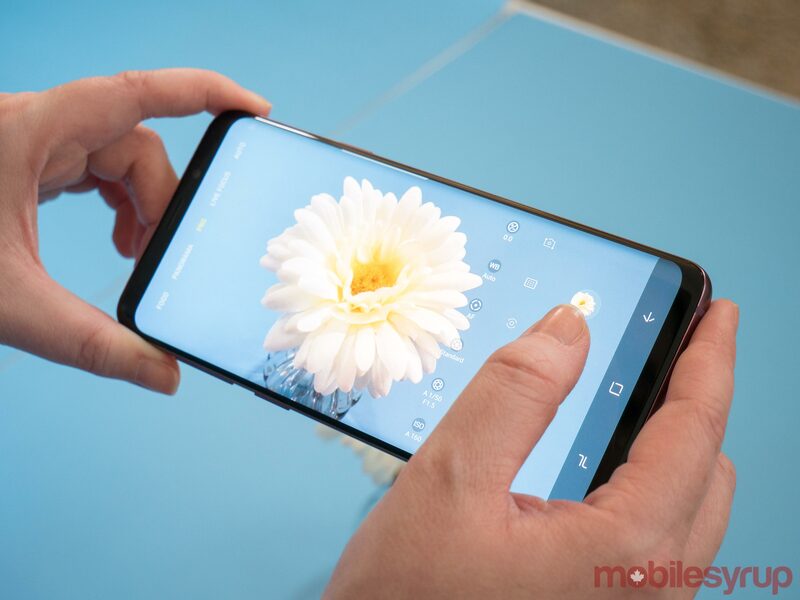 The rear camera’s lens is capable of switching between f/1.5 (this is even wider than the LG V30’s f/1.6 aperture) and f/2.4 depending on lighting conditions, when set to automatic. The brighter aperture allows 28 percent more light into the sensor when compared to the S8’s f/1.7 aperture, with the f/2.8 aperture preventing overexposure under sunny conditions — for example, on a tropical beach. Galaxy S9+ photo shot at night in manual mode – 7.9-megapixels, f/2.4, 1/4 shutter speed, 4.3mm ISO100. To be clear, its not possible to switch to f-stops between these numbers like with a DSLR. The S9’s variable aperture is binary and jumps between either f/1.5 or f/2.4. The ability to change apertures when shooting in Auto Mode improved low-light performance significantly. Under extremely bright conditions when shooting with f/2.4, the highlights were toned down a small amount. The aperture can also be changed when the S9’s revamped camera is set to manual mode (called Pro in the camera app), though the option is buried in the shutter speed section. When I first learned that the S9 would feature a variable aperture, I had high hopes this would allow for mechanical depth-of-field effects. ‘Live Focus’ with the S9’s dual shooter looks great, but still has a heavily processed feel to it. Unfortunately, while jumping between f/1.5 and f/2.4 does change depth-of-field slightly, the shift isn’t as significant as I expected. This feature isn’t a replacement for a DSLR equipped with a lens capable of a wide aperture. Speaking of the S9’s camera app, it’s actually usable now — even when set to manual mode. Switching between the app’s various options, including Panorama, Food, Live Focus (which returns from last year’s Note 8) AR Emoji and Super Slow-Mo, is as easy as swiping through its top menu. This can cause issues though. I occasionally found myself accidentally switching between shooting modes because the settings are so easily accessible. 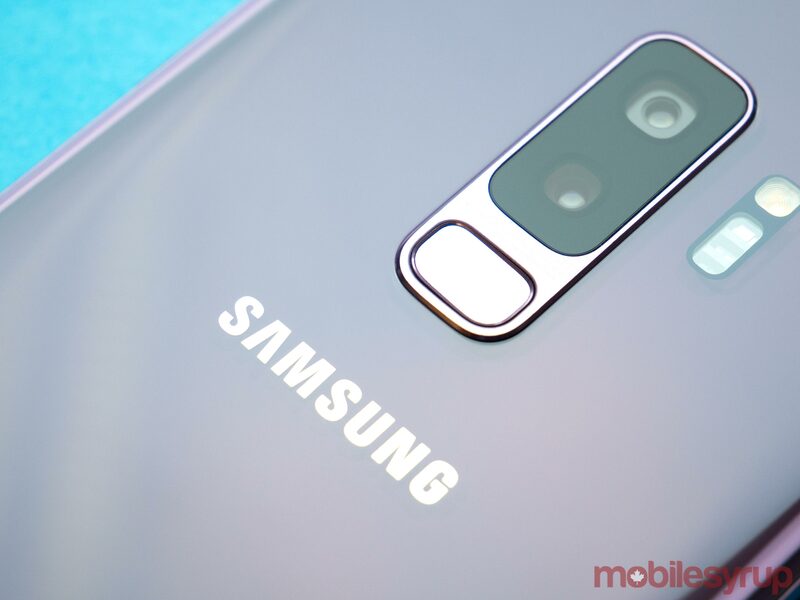 The S9’s 12-megapixel camera sensor also now includes what Samsung is calling second-generation dual-pixel autofocus, allowing for faster and more reliable focusing. In my experience, I found the S9 focuses more quickly than its predecessor, especially when movement is present in the frame. The most significant change is that low-light photos are less noisy when compared to the S8’s shooter. Samsung says the S9 features an approximately 30 percent improvement in noise reduction. While it’s nearly impossible to verify the accuracy of this claim, I can confirm that the S9’s low-light photos are cleaner when compared to the S8’s. The S9’s camera processes 12 images per shot in order to reduce noise. To be clear, Samsung’s dual-pixel sensor debuted back with the S7, so this feature isn’t exactly new — the company has just improved on that foundation yet again. Photos shot with the S9 still look heavily processed. This isn’t necessarily a bad thing given that under most circumstances, a photo taken with the S8 looked better than one shot with Apple’s iPhone 8, X or even Google’s Pixel 2 XL. Colour balance issues, lighting problems and even exposure are all processed more heavily behind the scenes with Samsung’s S Series. As a result, this also means photos shot with the S9 don’t look true to life. If you’re the type of person who prefers images that accurately depict natural vision, then Samsung’s S9 definitely isn’t for you. There’s also a difference now between the S9’s and S9+’s shooter, with the latter device featuring a second rear 12-megapixel telephoto lens with a fixed f/2.4 aperture, allowing for 2x optical zoom and live focus. Both features function identically to how they did with the Note 8. It’s also worth noting both rear cameras feature optical image stabilization with the S9+, which makes it easier to snap sharp photos under less than ideal conditions. The S9’s 960 frames per second (fps) ‘Super Slow-mo’ feature is incredible when it actually works, giving users the ability to create easy-to-share gifs that can be manipulated in a variety of ways, including even setting them as the smartphone’s wallpapers and adding music. Super Slow-mo comes in two forms: Auto and Manual. Automatic mode places a square box on the display that can be shifted in size and location, which in theory should make slow-motion recording process easier. When movement passes through the box, a clip is recorded. While this might sound simple, recording slow-motion videos in automatic mode feels unnecessarily finicky. First, the object needs to travel past the lens exactly where the box is located on the display. Then, the feature also needs to trigger, which didn’t always happen in my experience. In a number of instances, the S9 either didn’t detect motion or detected the wrong motion, resulting in Slow-mo not triggering properly. If you’ve set up a complicated slow-motion shot, this inconsistency can lead to needless frustration. Manual Slow-mo gives more control to the user by placing a small button in the right corner of the display that needs to be pressed in order to activate slow-mo mode. This also adds more room for error as well. If you happen to miss the moment you want to capture, or if you’re even milliseconds off tapping the Slow-mo activation tab, your chance is gone. All sl0w-motion video is only shot in 720p. While this isn’t an issue, it would have been great to see the S9 make the jump to 1080p slow-motion video. I’ve had a lot of fun with the S9’s ‘Slow-mo’ mode and it is a significant step above the S8’s 240fps slow-motion shooting option. Hopefully upcoming software updates will iron out some of the automatic feature’s most significant issues. AR Emoji are weird and off-putting, but at times strangely endearing. Acting as the S9’s answer to Apple’s surprisingly entertaining Animoji (one of my favourite iPhone X features), Samsung’s AR Emoji have stiff competition. Instead of instant, on the fly facial recognition, the setup process takes between eight and 12 seconds to scan your face. The resulting cartoon usually resembles whoever the app has scanned, but with exaggerated, often uncomfortable features. The level of accuracy with AR Emoji is underwhelming when it comes to face-tracking. I found the on-screen animated version myself lagged behind my real-world facial expressions. There were also instances where the experience would glitch in certain ways. Where AR Emoji become more interesting is when it comes to the other obviously Snapchat-inspired augmented reality creations, including a box-faced blue dog (my personal favourite), a pink cat, a bunny, and of course, all-important sunglasses. Sharing these images across multiple social media platforms, which can be captured with either the rear or front-facing camera, is also easy. 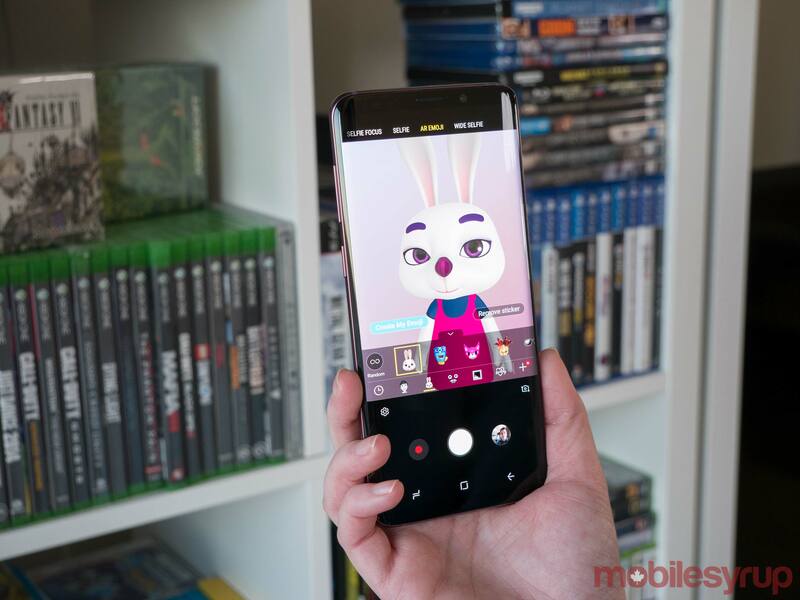 Despite their technical shortcomings (which could be solved through future updates), AR Emoji are an entertaining diversion and could be the start of something new and exciting for Samsung. If you were expecting the underlying tech powering AR Emoji to rival Apple’s Animoji, then you’re going to be sorely disappointed though. Some questions still remain surrounding the S9’s DeX dock, which is capable of working as a laptop-like trackpad. It’s unclear when the new DeX Pad is coming to Canada and how much it will cost. More of the same, but is that bad? Smartphones have clearly reached an era of maturity and the S9 is a complete embodiment of this fact. With this in mind, while it's difficult to find a significant fault with the S9, it clearly isn't as exciting as other Android devices on the market, or even the S7 or S8 were when they were first released. The phone's Android skin, now called the 'Samsung Experience' is still frustrating full of unnecessary Samsung bloatware, but otherwise, the S9 is fluid and easy to navigate. Even Bixby, Samsung's beleaguered voice-activated assistant, is marginally more capable now and includes the ability to translate languages in real time through 'Bixby Vision.' Even 'Intelligent Scan' is useful, despite not being particularly secure. It first scans your face and if that fails, checks your irises. If both fail, it authenticates your identity using a combination of the two. 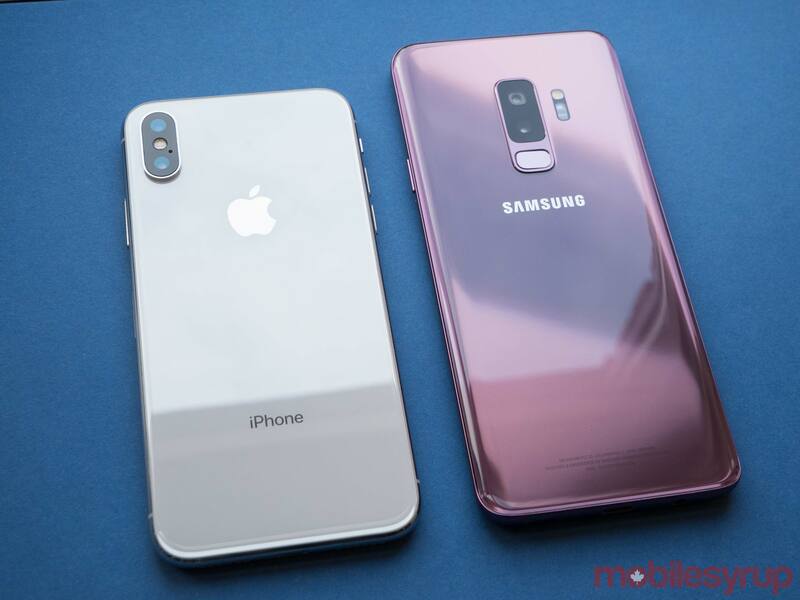 But this isn't a revamp of the S Series, which is what some Samsung fans were surely hoping for. The S9 is the S8 with a few new features, mostly on the software side of things, added to the mix. In the end, whether or not the S9/S9+ is a worthwhile upgrade for you will be dictated by what you're looking for out of a smartphone. Are you big on photography when it comes to your device? Then maybe the S9's variable aperture and the S9+'s 'Live Focus' portrait mode are a worthwhile upgrade for you. Perhaps you game a lot with your smartphone and feel that the Snapdragon 845's 30 percent power jump, coupled with the S9+'s 6GB of RAM, are a worthwhile upgrade. "While it's difficult to find a significant fault with the S9, it clearly isn't as exciting as other Android devices on the market, or even the S7 or S8 were when they were first released."